LOL! That pretty much summarizes the “regular rotation” of the recent lightning deals! Those could make some interesting stock photography photos organized together as “equipment art”! I wonder if they will do the Prime Early Access thing with many doorbusters during the holidays, because they could be gone by the time the non-Prime members get there, and that could create unhappy customers. 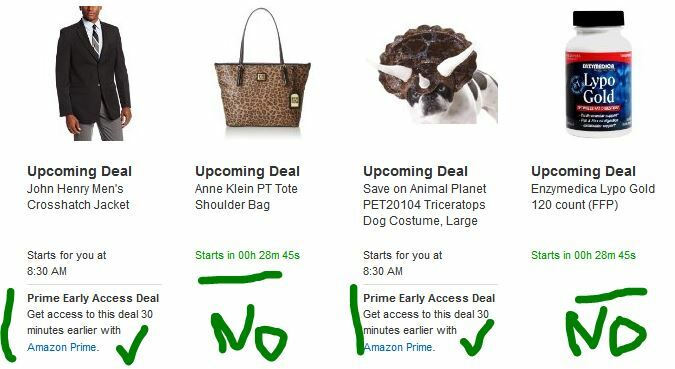 The potential for cries of foul are undoubtedly why Amazon is limiting this Prime benefit to some but not all items. yeah! this could backfire on them, especially during the black friday and holiday shopping rush where people are more stressed out and impatient and such.